If you were a powerful noble in Medieval Italy, it wasn’t the healthiest place to be. Competition and rivalry was vicious. One of your rival’s favorite methods of eliminating his “competition” was with poison. To protect yourself, you would recruit a (hopefully) trustworthy person to supervise your food preparation and taste test the food to insure it was safe. Once the food tester—or his replacement—had checked everything thoroughly, it was placed on a table called a credentia. Originally, credentia referred to the concept of trust and belief (like the words “creed” or “credence” or “credible”). But over time, credentia came to refer to a table which you, the suspicious noble, could trust to contain safe, wholesome food. Being Italian, and therefore “design sensitive”, you nobles didn’t just use some old stick-leg table, but had ornate carved tables made. Some of these tables were made with no legs and sat directly on the floor. 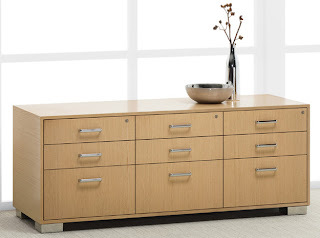 These were called….you guessed it….credenzas! So, the next time you and your Italian noble friends get together for a holiday feast, only eat the food that’s on the credenza.